The majority of Americans believe Congress should reject the nuclear deal with Iran, according to a recent CNN/ORC poll. 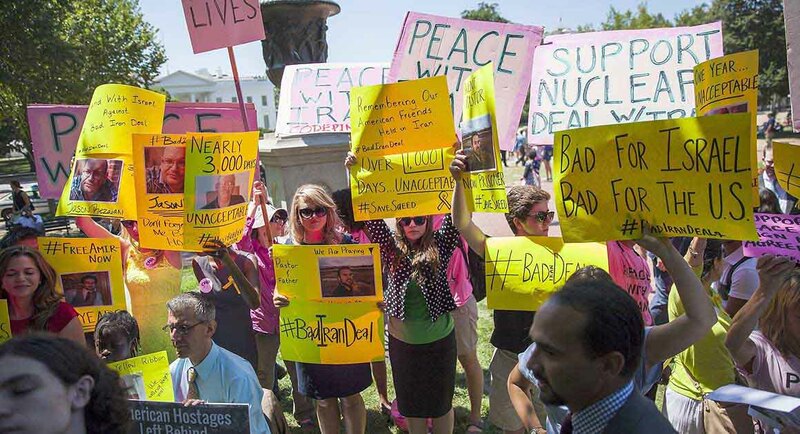 The findings, released last week, revealed that 56 percent of Americans – up from 52 percent several weeks ago – believe the US should not approve the deal, brokered after months of negotiations between the P5+1 and Iran. Last month, a Wall Street Journal/NBC poll found that a third of Americans opposed the deal (up from just 17 percent in June), a third supported it and a third were undecided. At around the same time – early August – an Economist/YouGov poll showed the deal was in fact supported by 51 percent of Americans, while the results of a Quinnipiac University poll released on August 3rd showed that 57 percent of Americans opposed the deal, with only 28% expressing their support (results more consistent with the CNN polls). While Politico accused both sides of “selectively touting” poll results in “ways favorable to their cause,” CNN interpreted the difference in the results of its two polls as a shift in American public opinion, which it ascribed to “an increasing partisan polarization over the deal” as Obama’s strenuous efforts to lobby for the agreement pick up speed before next month’s vote, leading more Democrats to support the deal – and more Republicans (and two Senate Democrats) to take a stand against it. Is the opposite now proving true? Despite its skepticism on poll results, Politico acknowledged that while it was difficult to conclude that support for the deal had risen as a result of Obama’s information campaign, one thing was clear – the level of opposition to it had. In other words, the more Americans know about the deal, the less they support it – not the other way around. The conclusion – the disapproval of Congress may be is a race against time and exposure to info.